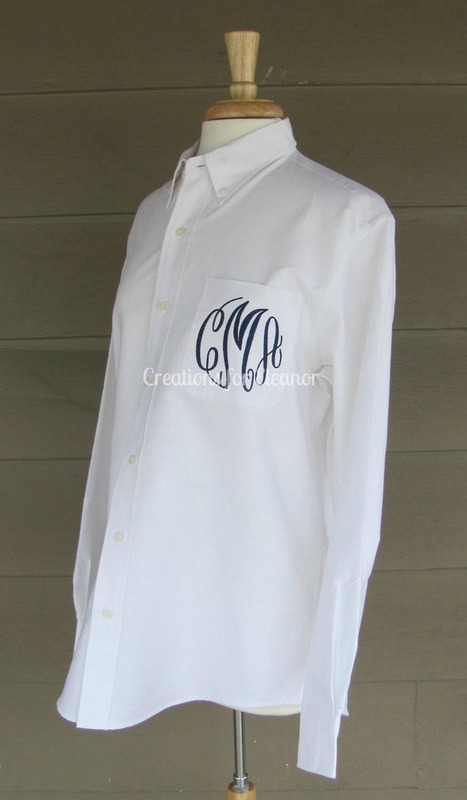 This classic oxford button down is given a modern update with a simple monogram. 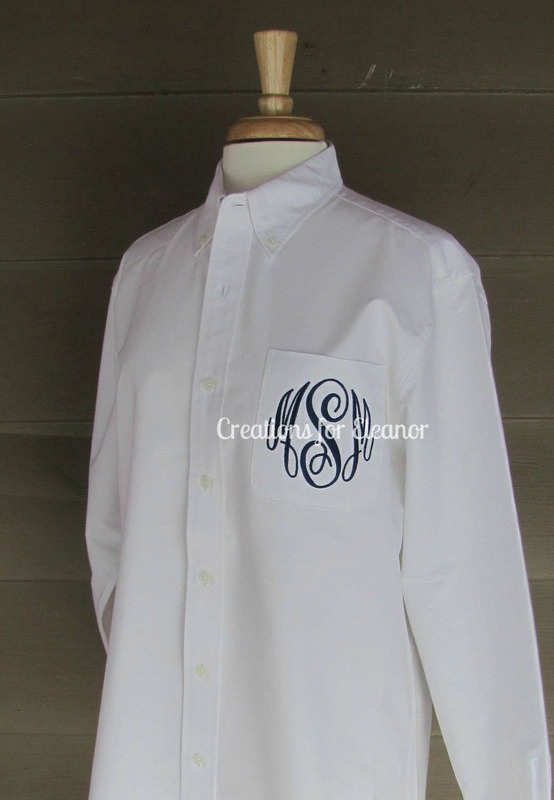 This men's fit oxford is made from a 4.6-ounce, 60/40 cotton/poly blend, has a back yoke with knife pleats, button-down collar button-through sleeve plackets and a two-button adjustable cuff. 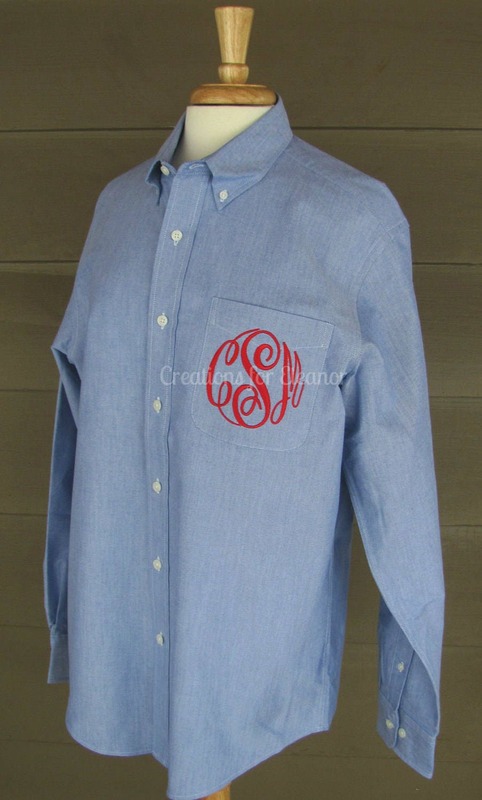 The left chest pocket is sewn shut when monogrammed. 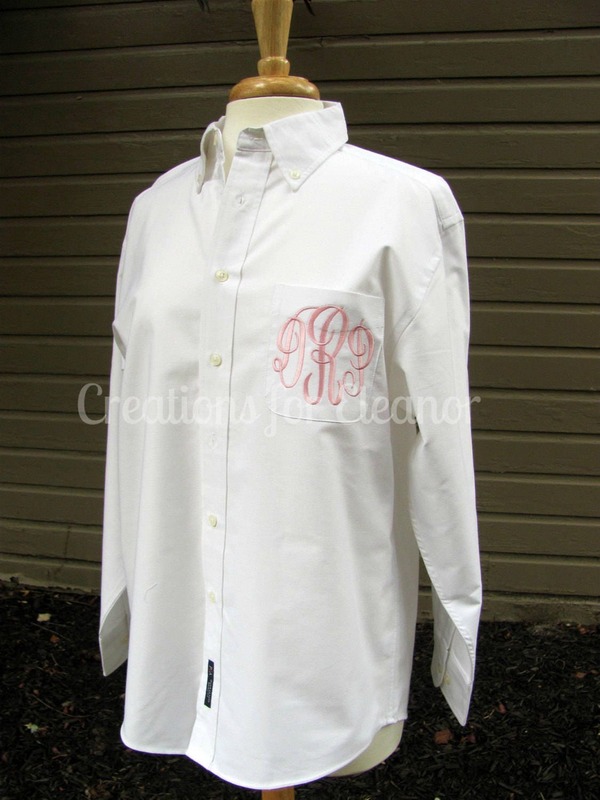 This shirt is perfect for your bridesmaids to get ready on your special day. 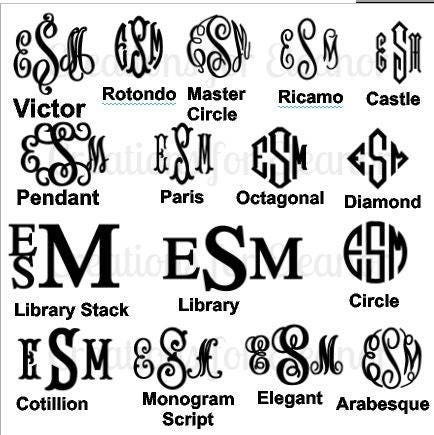 Please make sure to include font, thread color and initials in order first LAST middle at checkout. 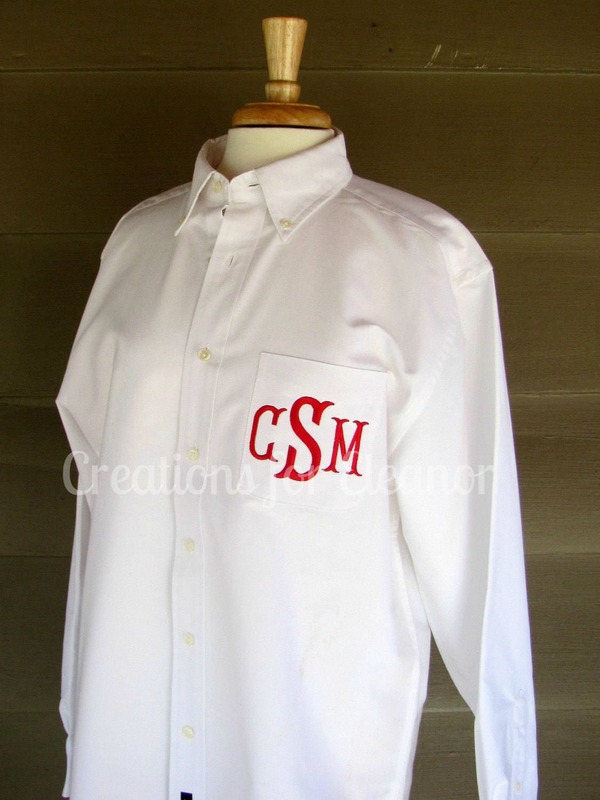 If no font or thread is listed the shirt will be stitched in red using the master circle font. 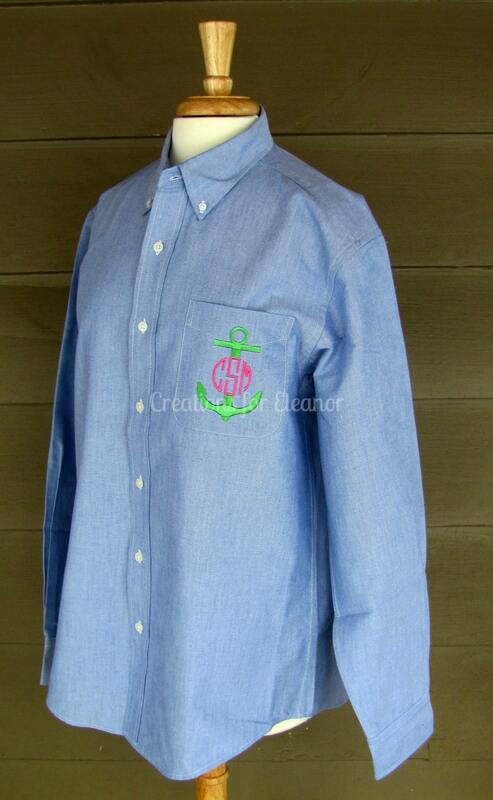 All shirts are embroidered in our smoke free, pet free studio. 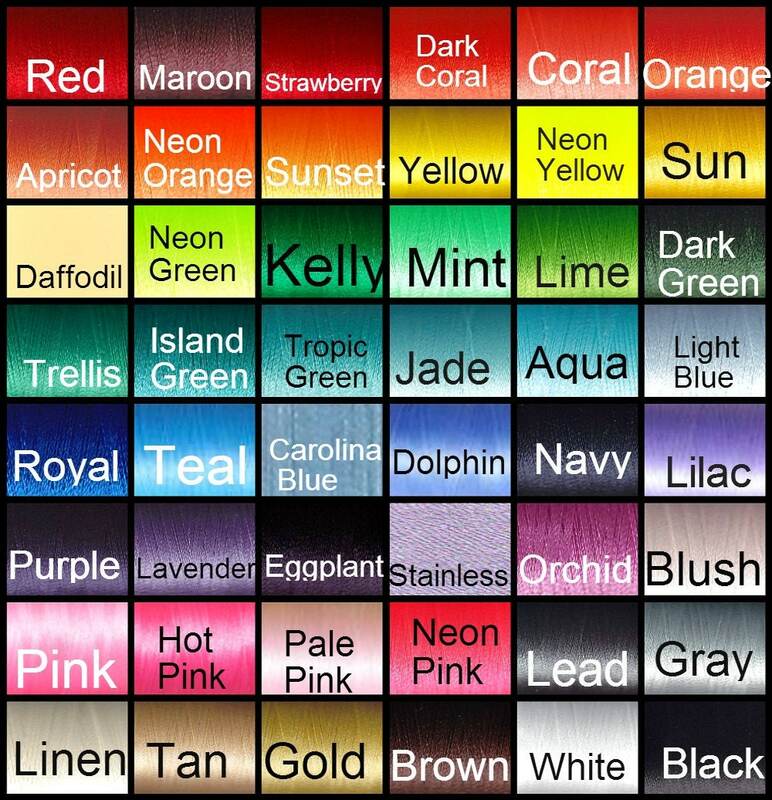 Please make sure to read all policies before placing your order.